A beautiful house with an ugly porch instantly loses its appeal. The porch is often the central focus of a house, especially in the front yard. That's why it is important to keep your porch in good condition and repaint the porch every three to five years. If you don't, you will begin to have problems with the paint fading or chipping and mildew forming on it as well. All of these things will affect the overall appearance of your home more than you could imagine. Don't worry though, repainting a porch isn't anything all that difficult and can normally be done in a couple of days. Scrape the old paint off of the porch. Make sure you work in one direction and apply even pressure all the way across. You will also want to avoid using paint stripper on a wood porch, because it can actually harm the wood. Sand the entire porch smooth. Using a power sander will make this job much easier and faster. Wash the porch with a mixture of detergent and water. Also, if there are mildew spots, clean those with bleach and water, then rewash with the detergent. Allow this to dry for a couple of days before continuing on. Paint the posts and rails of your porch with primer. Two coats of primer will probably be necessary, so allow the first to dry and repeat this step. If you don't have posts or railings, you can skip this step. Paint the main floor of your porch with primer, and then the stairs. Again, allow the first coat to dry and apply a second coat. 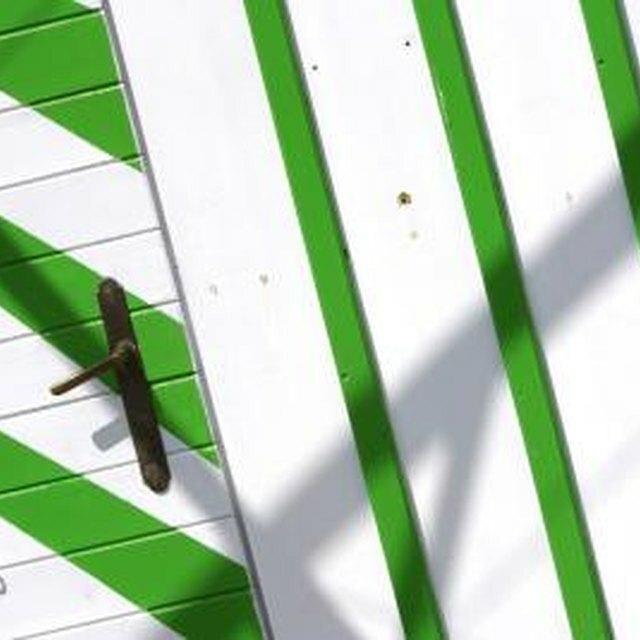 Mix a few drops of citronella into your paint, and then begin to paint the porch. Again, starting with the posts and railings, then the main floor and then the stairs. The citronella will keep bugs off of the paint while it is drying. Apply a second coat of paint after the first is completely dry, if it's needed. Ensure that you allow the first coats to dry fully before you continue on, otherwise the porch will feel tacky. Painting from the top (the railings and post) of your porch to the bottom (the stairs) will allow you to clean up any drips that may fall off of the railings on to the porch. You may want to lay a drop cloth over any bushes or landscaping around the porch.